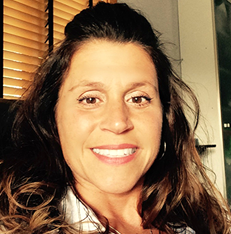 Gina Bianco is an experienced, enthusiastic, and attentive insurance professional who works collaboratively with her clients, co-workers, and company representatives to achieve common goals. Gina is professional, yet genuinely personable, honest, and motivated. She truly enjoys making connections and applying her knowledge and experience to support her clients and her team. Gina previously worked at V.F. McNeil Insurance from 1996-2006 as a Personal Lines Account Manager. In 2006, she took leave to raise her son. While raising her son, she worked independently from home in support of a family-owned business. Bianco played a key role in this position and became very knowledgeable about operating a business in Connecticut. Anxious to return to a more traditional working environment, she made the decision to return to V.F. McNeil. Her business experience coupled with over nineteen years of experience in the insurance industry made her a perfect fit to return as an Account Manager in the commercial lines department. As a team player with a strong knowledge of personal lines and commercial lines insurance, Gina is a true asset to V.F. McNeil and its clients. In her personal time, she enjoys spending time with her son and family. She loves physical activity, such as riding bikes and scooters with her son, going to Zumba, and many other outdoor activities. She also enjoys the hobby of re purposing furniture and other items for practical use.